The Steingraeber E-272 Concert Grand Piano was newly constructed between 1997-2002. Since then, many pianists rate it as one of the most outstanding, distinctive instruments available. Unique features include: the unusual shape of the sound-reflecting rims, the combined star-shaped and half-timbered braces, and the “incredibly agreeable”(Cyprien Katsaris) touch. The most uncommon feature, however, is the shape of the soundboard in the treble. The resonating space was newly reconstructed, based on the classical relationship between [short] string length and resonating space. 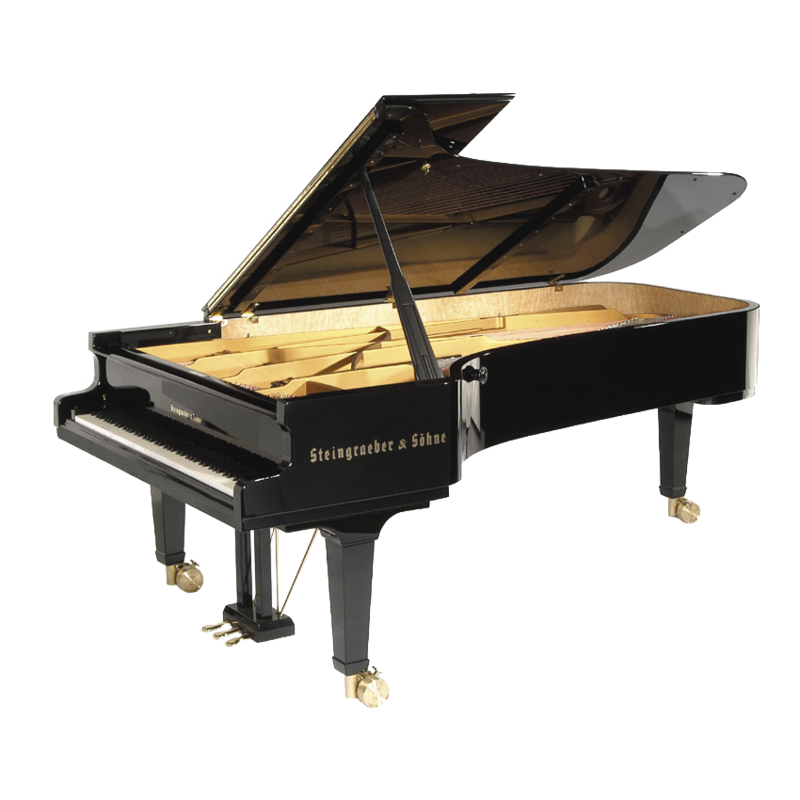 Steingraeber strings have 27% less wood mass to penetrate than comparable instruments by other piano builders! The result is a tone that is present and singing, even in softer passages. Thus, Steingraeber piano builders have succeeded in producing a new sound quality that is perfect for the performance of 18th and early 19th-century music, while also being suited to the percussive requirements of the 20th and 21st centuries. This distinguishes the E-272 from outstanding concert grands by other manufacturers.